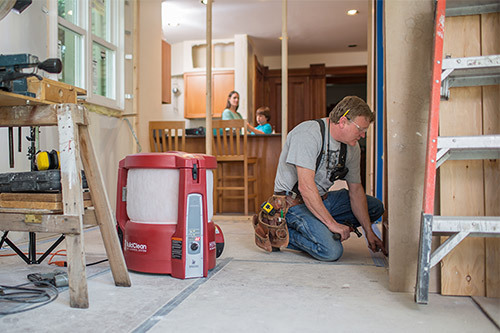 Learn about the dangers of remodeling dust and how to stay protected. YOUR HOME IS ABOUT TO BECOME A CONSTRUCTION ZONE. 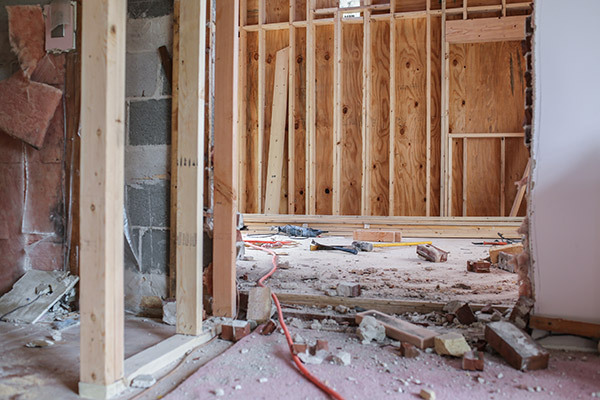 As a homeowner, a major remodeling project can be one of the most stressful activities that you experience. You already know you’ll need to adjust your life, but are you prepared to ensure a livable home construction experience for you and your family? REVOLUTIONIZE YOUR REMODELING EXPERIENCE WITH BUILDCLEAN. See the dust control system in action. …just talking about the dust makes me mad. In the summer we had our bathroom remodeled, dust was everywhere. I found more when I pulled out my Christmas china. All the emotions of this project returned when I saw more dust. DUST - IT’S MORE THAN JUST A NUISANCE. It’s the #1 threat to livability for homeowners. 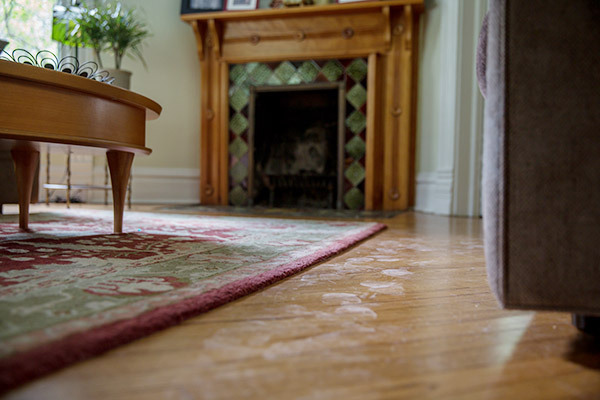 During your remodeling project, dust will get everywhere. On floors, furniture, glassware, dishes, even your toothbrush. Studies have shown that homes being remodeled have five to eight times the amount of particles in the air than homes that are not being remodeled. But dust is more than an inconvenience—it poses a serious threat to your family’s health, your pets and your belongings. Dust settles in your body in three areas: mouth, throat and lungs. This can trigger asthma attacks in children and adults, allergic reactions, problems for people with chronic obstructive pulmonary disease (COPD) and more. Jobsite dust can contain hazardous materials like asbestos, arsenic or lead, which can have an adverse effect on the health and safety of pets that are in the home during construction. Particles from sawing, scraping and sanding are small, which means they can easily work their way into your valuable belongings—and stay there. DEMAND A DUST CONTROL SYSTEM FOR YOUR HOME. Don’t risk it. Don’t accept it. Make sure your contractor is equipped to BuildClean. For optimal dust control, a simple box fan, sheets of plastic paper and a vacuum cleaner just won’t cut it. The best-of-the-best contractors can capture and virtually eliminate remodeling dust using tools like the BuildClean Dust Control System. BuildClean is different from the usual dust barriers. This innovative dust control system eliminates 90% of airborne dust*, providing a healthy, clean environment while keeping cleaning costs low. *Results from study by an independent industrial hygienist. Designed to minimize dust throughout your home, protecting the health of you and your loved ones. (The BuildClean Dust Control System) worked wonderfully. Between the plastic barrier and the clean air system, our house was livable. I thought, when I first read about BuildClean, that it might be too good to be true. My contractor, his crew and I can now tell you that seeing is believing! My contractor demolished part of my kitchen addition ceiling and wall using the BuildClean machine and – no significant dust!! It is amazing; I will let all other contractors know about it and continue to apprise you of its utility as my rebuilding and remodeling proceeds. Need more info? Want to share with your contractor? Call us at (855) 595-2860 or fill out the form below. Talk to your contractor about BuildClean. 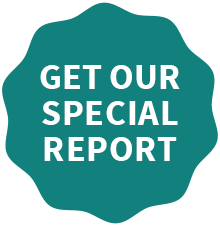 Share your contractor’s name and email and the BuildClean team will send them a brochure. HAPPIER CUSTOMERS. MORE JOBS. BUILDCLEAN.